New lines of code tucked away in Apple’s proprietary WebKit framework suggest the company may be working to implement a native, system-wide dark mode as an optional system preference in its upcoming macOS 10.14 software update. 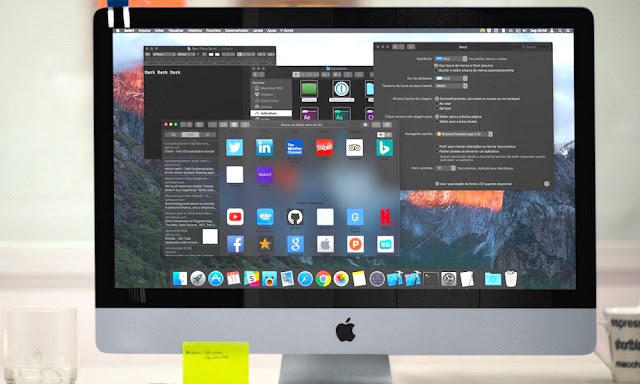 This week, famed iOS and macOS software developer, Guilherme Rambo, was digging through new code discovered in one of Apple’s March WebKit updates, when he stumbled upon clues hinting that macOS 10.14 may be in line to gain “some sort of system-wide dark mode” appearance, via 9to5mac. WebKit is Apple’s proprietary web engine, which is used conjunctively by the tech-giant’s Safari browser, Mail, App Store, and a variety of other macOS and iOS applications. Developers rely on WebKit to follow development of new Apple technologies, track feature status, report bugs and stay up-to-date on the latest developments as they pertain to Apple’s thriving web-based ecosystems. While there is currently a “dark mode” appearance present in macOS and some later builds of OS X 10.11 ‘El Capitan’, Guilherme noted that it’s only implemented when app developers expressly opt into executing it within their specific apps. But the fact that macOS 10.14 hints at a conceptual “system-wide dark mode” essentially means the company could be working on a way to implement the dark mode appearance within all its apps and system menus. There is no clear and articulate reference to the presence of a “dark mode” appearance in Apple’s code, Guilherme notes — however given the presence of the API it’s only reasonable to assume that’s what Apple is working on. The developer further acknowledged that similar code was not found in Apple’s upcoming iOS 12 framework, however we only have a few short weeks to go until the company’s anticipated Worldwide Developers Conference (WWDC) 2018. Scheduled for the week of June 4 through June 8, WWDC 2018 is where we’re expected to see Apple’s next software titles, including iOS 12, macOS 10.14, watchOS 5, and tvOS 12, showcased on stage — potentially alongside a range of exciting new products like an iPhone SE 2 and more.